A while a go Milly asked me if I could do a photo tutorial on how I did my eye makeup. I said I would but never got around to it. She ended up asking me again recently so I made sure I did it asap. :) So here it is. 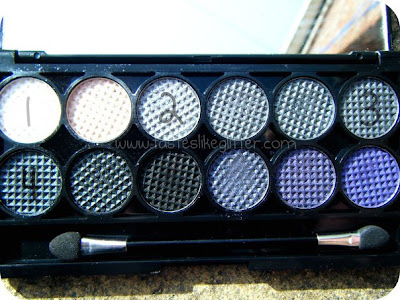 1 - 4 eyeshadows (Sleek Graphite Palette) - 1 highlight colour and 3 lid colours. 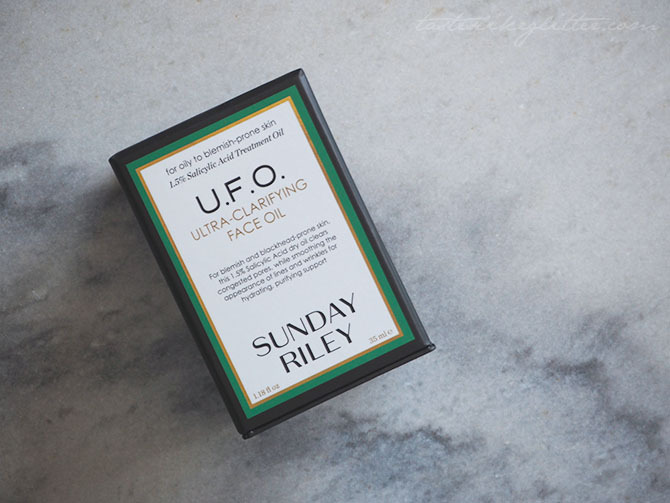 2 - Eye primer (Urban Decay Primer Potion). 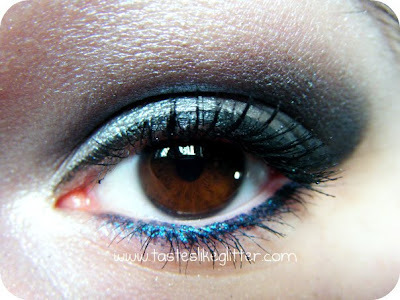 3 - Pencil eye liner (M.A.C Pearglide Eye Liner - Flu - By - Blu). 4 - Eye cream (M.A.C Fast Response Eye Cream). 5 - Liquid liner (M.A.C Liquid Liner - Boot Black). 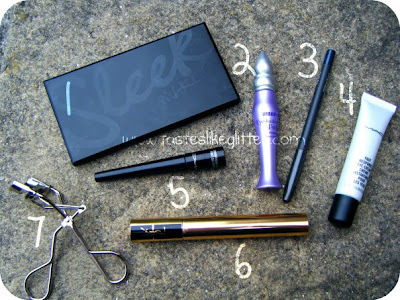 6 - Mascara (YSL Singulier Mascara). 7 - Lash curlers (M.A.C). 1 - M.A.C 219 Pencil Brush. 2 - M.A.C 239 Eyeshadow Brush. 3 - M.A.C 217 Blending Brush. 4 - M.A.C 272 Angled Shader. 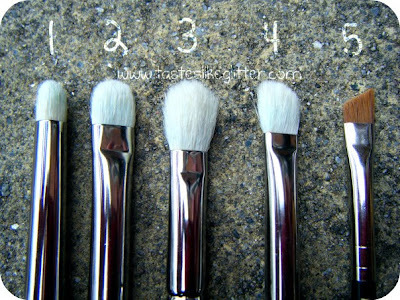 5 - M.A.C 266 Small Angle Brush. 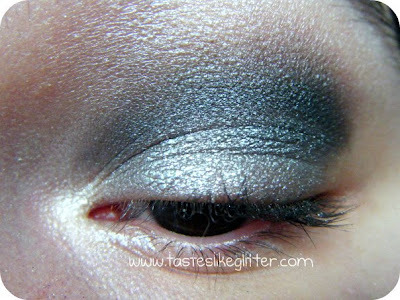 2 - Main lid colour (second lightest). 3 - Crease colour (second darkest). 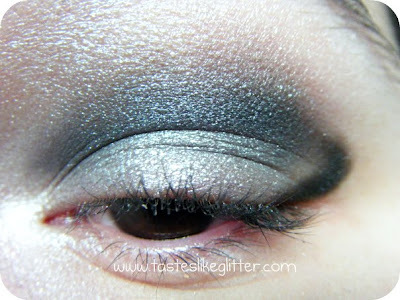 4 - Outer corner colour (darkest). Step 1: Apply any eye creams you wish to use. Curl your lashes and apply primer. Step 2: Apply highlight to brow bone and inner corner. 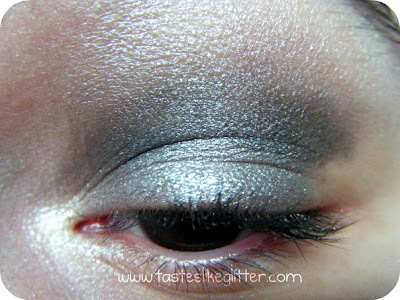 Step 3: Using a 239 apply main lid colour up to the crease and to the outer corner. (I personally find it easier to apply the outer corner colour onto a bare lid, which is why I don't apply the main colour on this bit). 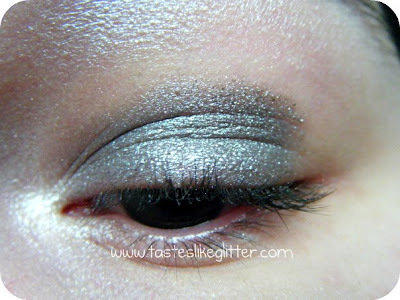 Step 4: Using a 272 apply the crease colour and blend up and into the highlight colour. 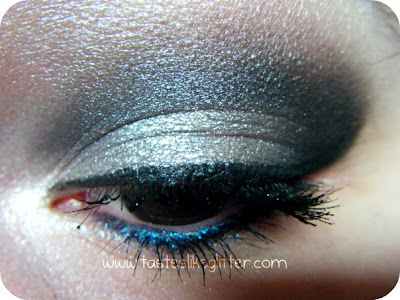 Step 5: Using the same brush, add more of the same colour right into the crease to darken it. 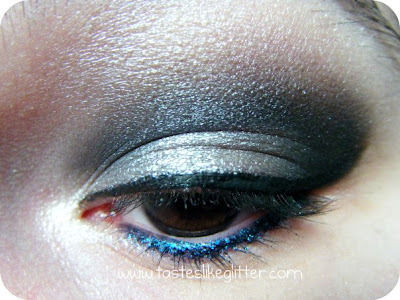 Step 6: Using a 219, take the darkest colour and mark out how you want to have your outer corner. Step 7: Still using the 219, fill in and blend into the lid and crease colours. Step 8: Starting in the middle of the lid, apply liquid liner using a 266 (I find this gives a more precise line then the liquid liner applicator, it's all down to personal preference), working into the inner corner. 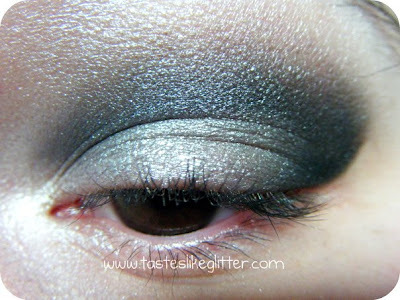 Then work from the middle to the outer corner. Apply pencil liner. It seems like a lot of work but once you get used to it, it really doesn't take that long. 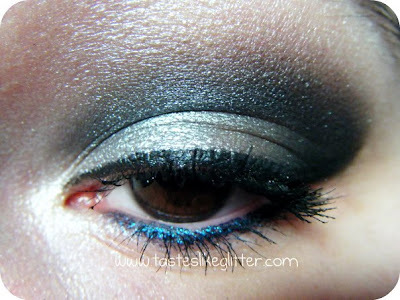 This is how I do my eye makeup most of the time. It doesn't matter what colours I'm using. I find this works as long as you follow the 'rules' of highlight being the lightest, lid - second lightest, crease - second darkest and the outer corner the darkest. I really hope this helps some of you. A few years a go I couldn't even blend one colour, let alone using 4! So just practice, practice, practice! It's boring to hear, I know but it really is worth it.